Tekno Front M6 Driveshafts and Steering Blocks for Slash 4x4 Discounts Apply ! 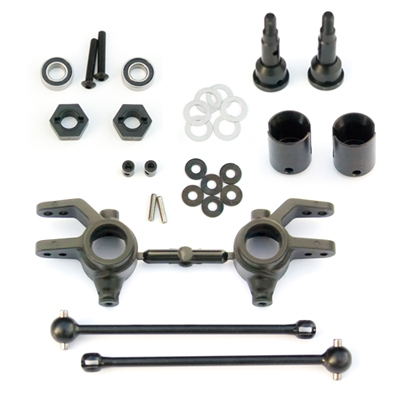 TKR6851X - Tekno Front M6 Driveshafts and Steering Blocks for Slash and Stampede 4x4. Captured CV drive pin � it can�t fall out.